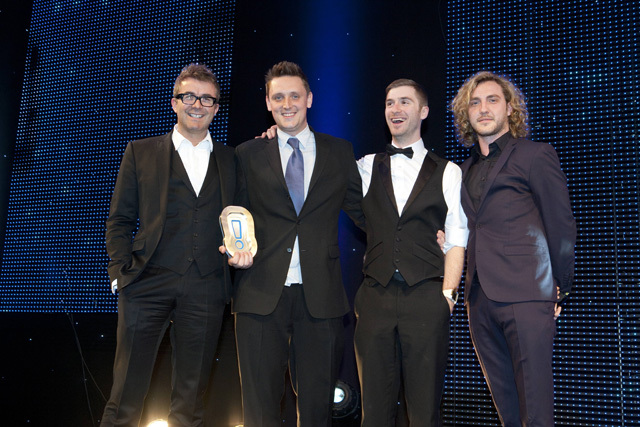 Heineken, Xbox, TBG Digital and Adam & Eve triumphed at the Revolution Awards 2012, held on 20 April at the Grosvenor House Hotel on London's Park Lane. AKQA’s Star Player app for Heineken scooped the Revolution Award for Innovation, the event’s most prestigious accolade. The app focused on the competitive banter of football fans by creating a live and social TV game experience. Xbox’s European head of media Paul Evans beat off stiff competition to claim the digital marketer of the year trophy. Evans has championed the use of social gaming, enabling Xbox to tap into new and hard-to-reach audiences and was responsible for the recent global launch of Kinect for Xbox 360. The Agency of the Year Award went to TBG Digital, one of the industry’s most recognised Facebook experts, which has experienced stellar growth in the last year. The launch of JK Rowling’s Pottermore.com, an online reading experience for Harry Potter fans, created by Adam & Eve, triumphed across three categories, including media and entertainment, best integrated marketing campaign and best use of online advertising.